DU CIE B.El.Ed Admission 2018 – The Central Institute of Education (CIE) will conduct entrance test for B.El.Ed admission in Delhi University. The application form for the DU UG Entrance Exam has been released online. 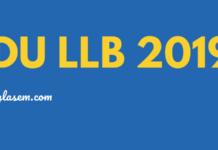 The candidates interested in pursuing B.Tech or B.A (Hons) from the University of Delhi must check their eligibility criteria before applying. The candidates can also check complete details about DU CIC B.Tech and B.A (Hons) exam and admission 2018 from this page. Latest: B.El.Ed. eighth Admission List has been released. Check the same from “Counselling” page. The Bachelor of Elementary Education (B.El.Ed.) programme is a four-year intergrate professional degree programme of Elementary Teacher Education offered after the senior seconday (class XII) stage of school. The entrance test will be held on 1st week of July 2018. 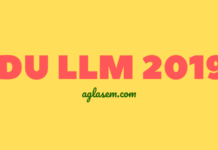 The candidates may check more details about DU CIE B.El.Ed Admission 2018 from this page. The application form is available online. 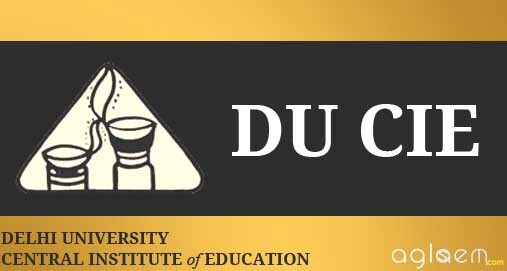 The application form of DU CIE B.El.Ed 2018 has been released on www.du.ac.in, which is the official website of DU Admission. However, for our readers, the direct link to submit online application will also be given in “Application Form” page. To access the application form, the candidates will first have to register by submitting few basic details. Then, the candidates will have to submit required details in the form. It should be note that all the entered information in the application form should be authentic. Else, the candidature will be cancelled. There is no minimum age bar for admission in DU CIC B.El.Ed. 2018. One subject from List I and threee from List II. OR One subject from List I, two from List II and one from List III. Refer the information brochure given below for List wise courses. The Entrance Test will be two hours duration and will be based on English, Hindi, Mathematic, Science and Social Science up to class 10th level. There will be 100 questions. For each correct answer, a student shall score +4 marks and for each wrong answer, there will be -1 marks. there are 8 college under DU CIE B.El.Ed 2017. In all, in these college 400 seats are offered to the students. For more details of DU CIE B.El.Ed Admission 2018 – Download Information Brochure. please suggest how can i change entrance language preferences to hindi in the form of b.el.ed. How can I apply for b.el.ed I missed the last date that is today only. Yr kabh aaega admit card??? sr is therany option of rechecking????? To get another college you need to wait till the next cutoff. Hello sir in b.el.Ed exam my rank is 8127so kya mere no a Sakta hai b.el.Ed me or not ??? Hey there! It could be possible, please keep checking the cut offs! Sir there any chance of sixth cutoff list of b.el.ed ?